Do you have 10 lbs to lose? 20 lbs? More? 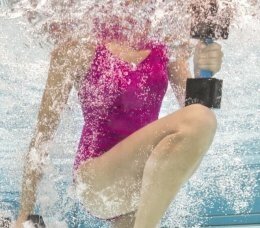 If you can burn an extra 100 calories a day during a 30 minute water workout, this equates to a weight loss of about 10 pounds a year! Our Water Fitness Weight Loss Calculator gives you an idea of how many calories you will burn and how much weight you can lose during your water aerobics and aquatic exercise routines.